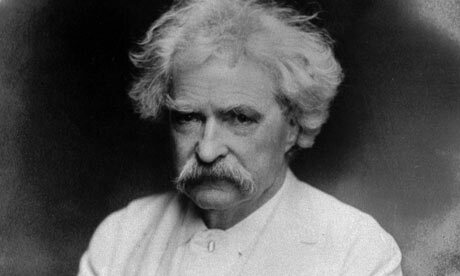 Two of Mark Twain’s most known books will receive a face lift when the new additions of “Adventures of Huckleberry Finn” and “Tom Sawyer” will be reprinted without the use of the N-word. I can passionately say that I am deeply offended by the N-word and cringe up into a ball whenever the rare occasion comes that I hear it. Nonetheless, I’m opposed to this. Altering a classic novel to stray from the authors original thoughts and ideas is wrong and invasive. People have the choice to read the book or not so I see no harm in keeping the original integrity of the books and letting people decide for themselves. Twain scholar, Stephen Railton of the University of Virginia makes the point that the language is a reflection of the past. To change it would be trying to ignore some facts about our history. There have been plenty of words that have come and gone from our vocabularies. Ones that start with one meaning change into something offensive. At the point they become offensive we alter our usage of them. This shows our growth and our stray from ignorance. It shows how far we’ve come in our combat against racism and intolerance. Railton has an unaltered copy of “Huck Finn” that is to be released later this year which includes content to discuss issues of racism and slavery in schools. I think this is the best way to look at this issue. Instead of trying to cover up what happened in our past we should learn from it so we won’t be doomed to repeat it. Mark Twain wrote that “the difference between the almost right word and the right word is really a large matter.” He went on to compare it to “the difference between the lightening bug and the lightening.” This makes me believe he chose his words carefully. To change his work is insulting to his memory. Take a look at the original Huffington Post story here.